Super Smash Bros. Melee turns 17 years old next month, but that doesn’t mean the game has been completely solved. Sure, there’s an upper echelon of competitors who you can count on to win just about any tournament they enter, but there are also Melee players like Joseph “Savestate” El-Khouri grinding out new techniques for their characters of choice. His latest allows Link to blast off like a rocket using his own bombs. As with most Super Smash Bros. Melee techniques, the explanation for why this occurs can get a little wonky, but Savestate was helpful in explaining what makes this “simple” trick work via direct messages to Kotaku. According to him, the above video depicts Link’s ability to stack two different types of velocities—knockback velocity from the bomb blast, and character velocity from The Hero of Time’s own movement—in order to launch himself upwards at tremendous speed. This particular quirk of the Melee physics engine can be seen through other attacks, but Link is unique in that he can self-impose the rocketing movement and thus use it at will. Savestate provided three separate situations where this would be useful due to the time it takes to set up. 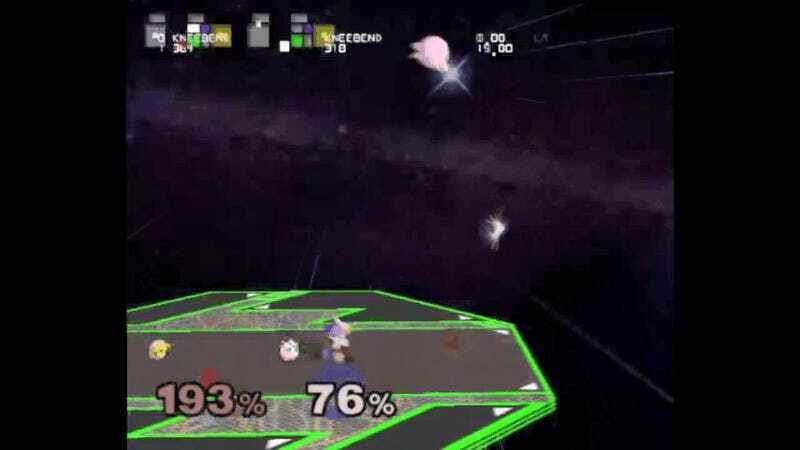 First, it could be used when facing a Peach or Jigglypuff player with a penchant for floating near the top of the screen. It could also be a “rare mixup” (that is to say, a technique that forces your opponent to guess your next move) that combines an intentionally dropped ground tech and the bomb’s hitstun. Lastly, it could work as a strategy in a doubles match that would allow Link to continue a teammate’s combo after they send an opponent skyward. This has all been an overly technical way of making two things clear. The first is that, despite its age, Super Smash Bros. Melee remains a hotbed of discovery. And second, players like Savestate are still grinding out relatively weak characters to find new morsels of potential hidden behind almost two decades of competition and presumption. Does the Bomb Rocket make Link a character capable of facing Fox or Marth on even footing? Probably not, but Savestate’s discoveries have gone a long way towards making the scene’s understanding of Melee more complete as the game continues to be a force in the competitive fighting game community.